Arbitration Clauses in Maritime Contracts are Not Necessarily a Good Idea. We have previously written about our skepticism about the value of using arbitration instead of litigation to resolve maritime disputes. A recent decision in a salvage case in New England is another example of why litigation is likely to be more efficient and cost effective in many circumstances. In Farnsworth v. Towboat Nantucket Sound, Inc., __ F3d ___, June 17, 2015 (First Cir. 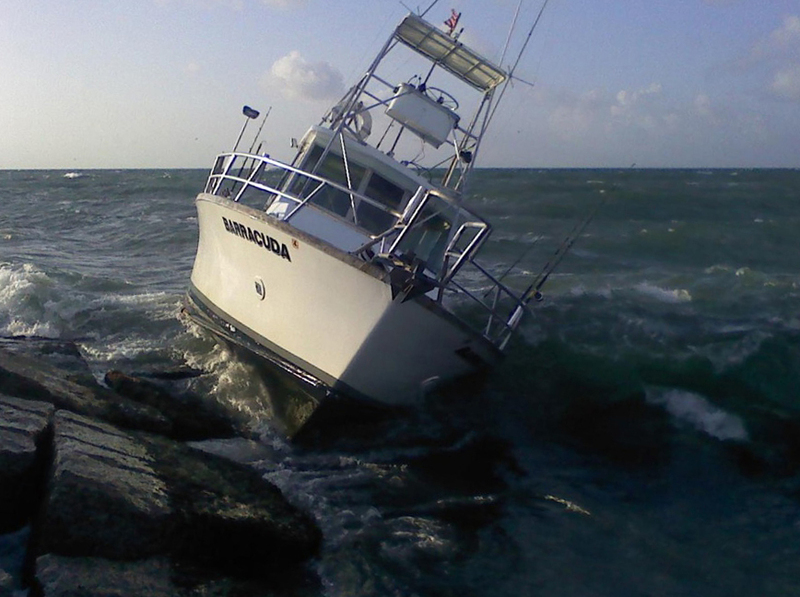 ), Mr. Farnsworth had the misfortune of running his yacht aground in Buzzards Bay, Massachusetts. Towboat Nantucket Sound (“TNS”) dispatched its vessel in response to a radio call from Farnsworth for towing assistance. However, when the TNS vessel arrived, its crew insisted that Farnsworth sign a no cure, no pay salvage contract before any assistance would be provided. This contract included an arbitration clause. Farnsworth signed the contract and TNS refloated his vessel. Five days after TNS came to Farnsworth’s rescue, he sent a letter purporting to repudiate the salvage contract, arguing that he had been forced to sign under duress. An exchange of correspondence ensued, and TNS ultimately sent Farnsworth a salvage bill for $95,546. Farnsworth refused to pay. TNS invoked the arbitration clause, and arbitration proceedings began after selection of a three member panel selected pursuant to the rules of the Society of Maritime Arbitrators. The parties submitted their initial claims and counter-claims to the panel on April 13, 2013. A month later, on May 15, 2013, Farnsworth filed suit in the United States District Court for the District of Massachusetts challenging the validity of the salvage contract and seeking to enjoin the arbitration proceedings. The district court refused to issue an injunction and instead stayed the litigation pending completion of the arbitration. The parties returned to arbitration, and on November 15, 2013, a unanimous award of more than $60,306.85 was made in favor of TNS by the arbitrators. Unhappy with the way both parties conducted themselves during the proceedings, the arbitrators refused to make an award of attorneys’ fees. TNS went to the district court to confirm the arbitration award. There were more briefs, counter-briefs, and arguments. The district court rejected Mr. Farnsworth’s claims that he had been coerced into signing the salvage contract, concluding he had not challenged the validity of the contract at arbitration, or specifically attacked the validity of the arbitration clause in his federal complaint. Mr. Farnsworth appealed to the First Circuit Court of Appeals. The First Circuit opinion provides a thorough analysis of the law and policy reasons for enforcing arbitration agreements, and it rather bluntly outlines the procedural errors Farnsworth made in attempting to get out from under the salvage contract. This analysis is worth reading in its own right. Our purpose in commenting on the decision, however, is to note that arbitration agreements, often relied upon to provide swift, private, and less expensive resolution to civil disputes, often result in exactly the opposite outcome. Indeed, but for his procedural errors in asserting his challenges to the contract in general and the arbitration clause in particular, the parties might still be engaged in litigation. In this case, TNS had to pay its portion of the fees charged by three arbitrators in addition to paying its counsel to conduct the arbitration. It also had to pay counsel to represent it in litigation in the district court and the court of appeals. Any thoughts of confidentiality evaporated with publication of the First Circuit’s decision. As for a swift resolution, TNS provided its services to Farnsworth on July 28, 2012. The First Circuit’s opinion is dated June 17, 2015. Compare this to the alternative remedy available through litigation: TNS could have brought an in rem action against the vessel and an in personam action against Mr. Farnsworth to enforce its claim to a salvage lien, presumably sold the vessel in an interlocutory sale or otherwise obtained security for the value of its claim, and had a bench trial in the district court, likely in far less time, and at significantly less expense, than the arbitration process provided. In other words, arbitration can be very good for lawyers and more so for arbitrators; we’re less sanguine about its value to clients. 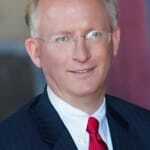 Managing Partner, Ventker Henderson, PLLC in Norfolk, Virginia. After 7 years on active duty with the Navy, Dave has spent more than 25 years in private practice, primarily defending admiralty and commercial disputes, with a healthy amount of time advising business clients how to avoid getting dragged in to court at the outset. Experienced lawyers with a unique approach - we actually listen to our clients. Ventker Henderson, PLLC is a Virginia Professional Limited Liability Company. We are also a Certified Veteran-Owned Small Business. We are physically located in Norfolk, Virginia, which is just minutes from North Carolina. We are licensed in both states and spend nearly as much time in coastal North Carolina as in Virginia.